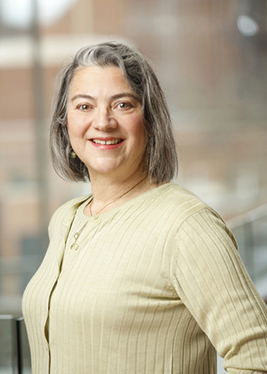 Lynne Massaro joined the School of Nursing faculty in 2010 and instructs in the accelerated bachelor’s and master’s programs, focusing on clinical nursing and primary care. She also leads the first Nurse Practitioner Residency Program in New York State at Highland Family Medicine. The 12-month program gives family nurse practitioner graduates an opportunity to improve clinical confidence and develop skills to care for culturally diverse and high-risk patients. A global health advocate and dedicated volunteer, Massaro leads community efforts through her work with the nursing honor society, Sigma Theta Tau Epsilon Xi chapter. Most recently, she developed an international capstone opportunity for students with the Sacred Valley Health Clinic in Peru, helping students gain hands-on learning experience and hone their cultural communication skills. She is a member of the state’s Nurse Practitioner Association, Greater Rochester Chapter, and serves on its Clinical Editorial Advisory Committee for the quarterly journal, JNPA. In 2014, she was named an Outstanding Scholarly Practitioner by the School of Nursing. Massaro works per diem as an NP at Highland Family Medicine and Highland Hospital.